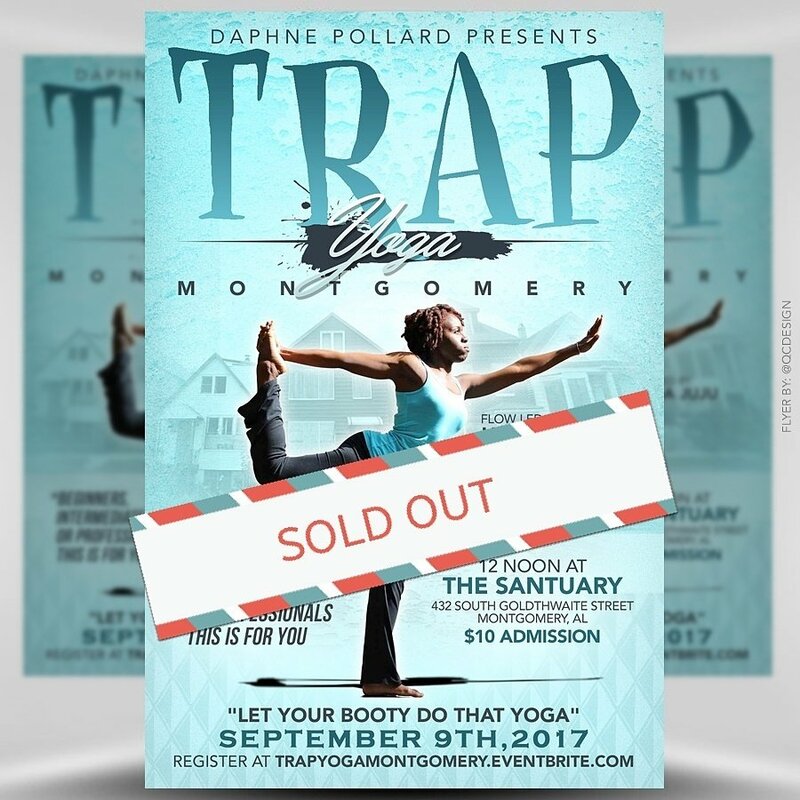 Trap Yoga Montgomery is OFFICIALLY SOLD OUT. Yes I know that I live in ATLANTA but I told myself that I will always bring the latest trends back to Alabama. But what’s Trap Yoga? Trap yoga is yoga done to Trap music to keep it simple. But the instructor can switch it up as he or she pleases.